At Donegal Square, we specialize in all the best from Ireland and the British Isles. Whether you are of Celtic heritage or just feel connected to the culture, we can help you incorporate Celtic traditions, symbols, even toasts (Slainte!) into your wedding to make your day even more unique and memorable. Donegal Square has been providing a connection of Celtic traditions and family since 1985. Inspired by rich Celtic heritage, a wide selection of handcrafted wedding bands and engagement rings from TJH and Shanore of Dublin is offered — available in yellow, white, rose gold and sterling silver and hallmarked in Dublin Castle. The wedding band collection will connect Celtic roots to Ireland and the British Isles, completing the eternal wedding day. Donegal Square also offers a bridal registry, gifts for the bridesmaids and groomsmen, plus kilt rentals. Assistance in booking a honeymoon to Ireland and the British Isles is also available. 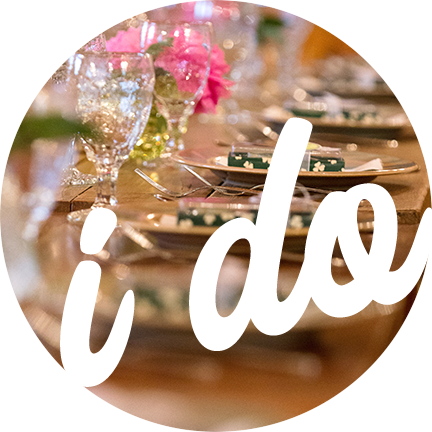 Creating a Wedding Registry at Donegal Square benefits you and your wedding guests. Your guests want to give you a unique gift you will enjoy for years to come, and it is your chance to receive the items that mean most to you and honor your Celtic roots. So much to choose from — cozy blankets, beautiful tableware, unique decorative items and more. Our Wedding Specialists are happy to assist you your guests in selecting the perfect gift, and we will gladly gift wrap or ship if desired. When creating a gift registry at Donegal Square, wedding couples receive a FREE GIFT. Your wedding party supports you on your wedding day. What better way to show your appreciation than a unique gift from Ireland and the British Isles? Donegal Square has a great selection of bridesmaid and groomsmen gifts which are sure to be treasured long after your wedding day. The team at Donegal Square will help you choose the perfect favors for your guests to remember your special day. We have personalized candles and Celtic design tiles, even locally-made chocolate truffles made with our own McCarthy’s Irish Cream. Whether for the groom or the entire wedding party, wearing kilts will make your special day even more stylish. With our Kilt Rental program, you can rent the full outfit or just get the pieces you need to complete your look. Visit our Kilt Rental Program area for more details.